Custom Printed Necklace Display Cards | UK. Our custom printed jewellery display cards are made from 350GSM white card and are 90 x 90mm in size, and are supplied with necklace slits or earring holes. You can also add a discreet pocket to hold the chain at the back of the cards. The prices below are estimates, and may change. Orders of 300+ may qualify for a discount. Please note that currently we cannot gold or silver foil pearlised cards. 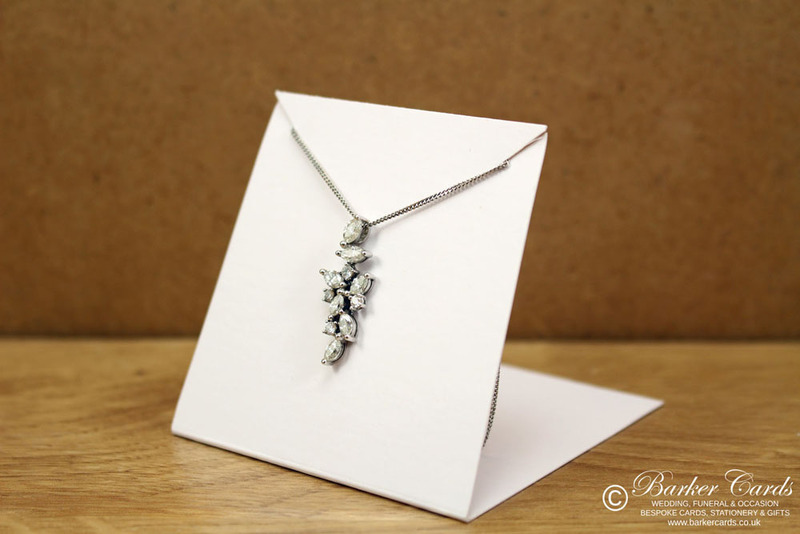 Necklace display cards are available with rounded corners at a charge of £0.10 per card. 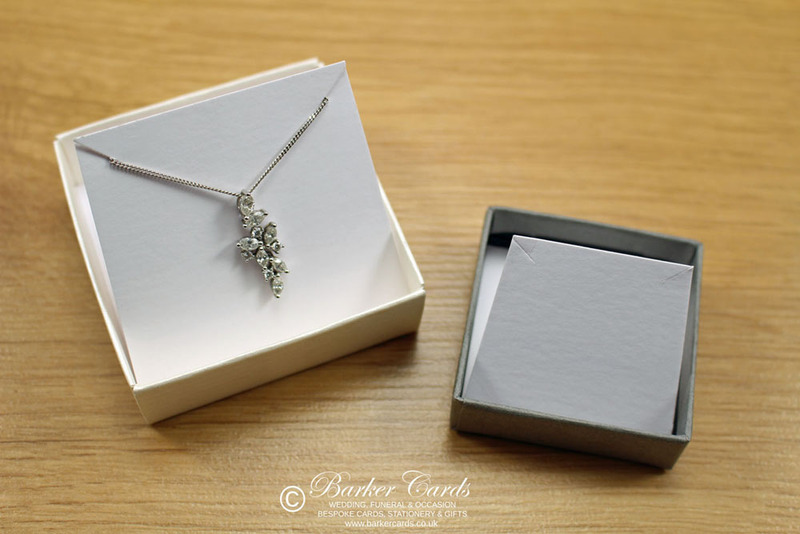 All Necklace Cards are made in the UK. and to order using product code NDC01.